A man waves to a government vehicle in western Fiji in the aftermath of Cyclone Winston. On Saturday, the strongest tropical cyclone on record in the Southern Hemisphere squarely hit the South Pacific nation of Fiji. Cyclone Winston’s horrific winds—estimated by satellite at 185 mph with momentary gusts in excess of 200 mph—made it the second strongest storm in history to make landfall anywhere on Earth. The only storm stronger at landfall was Supertyphoon Haiyan, which devastated the Philippines in 2013. Winston is an unimaginably huge blow for Fiji, a nation already struggling to adapt to climate change. 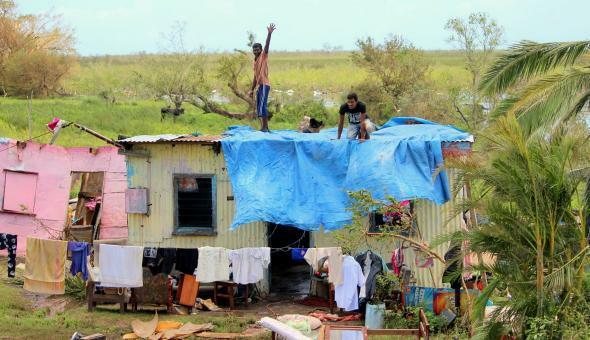 After a series of aerial surveys over the past two days, Fiji’s government launched an international appeal for aid, which the United Nations is helping to coordinate. The government expects at least one island to be cut off for months after its main jetty was damaged. My email has been down and I am without power and water… We have 21 dead in Fiji and are still trying to communicate to some parts of the country. 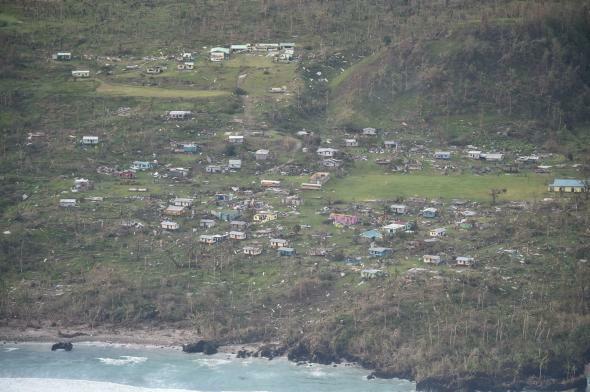 Some villages are flattened including churches, Nagaini for example. Other villages, in Koro, had everything but the church destroyed. One of the villages we work in, Yanuca, has 17 houses out of 25 in need of substantial repair. Everyone in the country is affected somehow. More than 4000 remain in evacuation centers. The radio is doing a great job of coordinating. The government action was swift and decisive. The curfew until 5:30 am this morning was much needed. Fijian people are incredible in their ability to turn and help one another. I am stunned and inspired many times each day. My staff has already organized delivery of replacement goods and cash to one of our staff whose roof blew off. Fiji’s government has released hundreds of photos of the storm’s aftermath on its Facebook page. On Monday, the New Zealand military dispatched a cargo plane full of relief supplies that is expected to be among the first outside aid to arrive. The death count could rise considerably as information arrives from more remote locations that were especially hard hit. 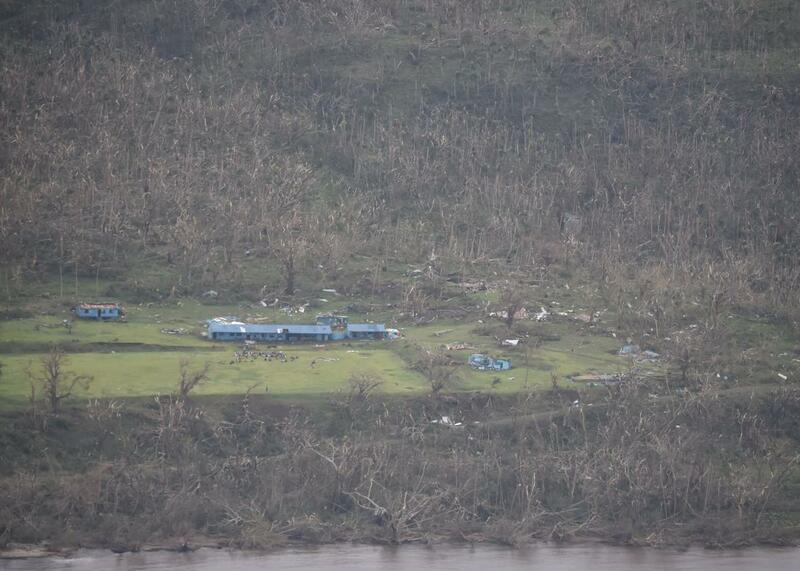 People gather on the lawn of the Vunivasa primary school in Fiji after Cyclone Winston stripped the leaves and bark from the surrounding trees—evidence of sustained winds in excess of 100 mph. 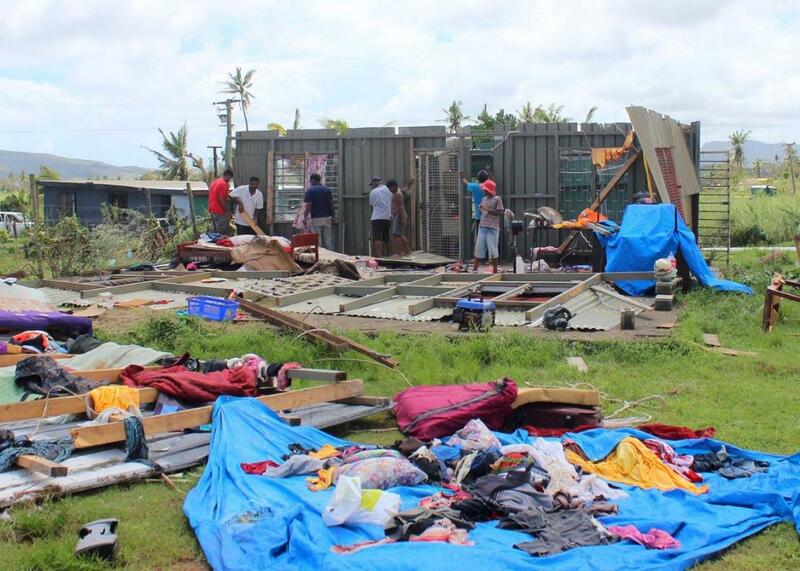 Neighbors assess the damage in Lautoka, Fiji. The village of Navakawau was almost entirely destroyed. 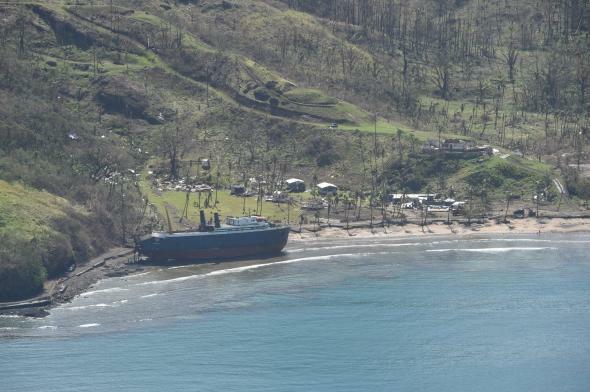 At the Ovalau resort in Fiji, a huge ship washed ashore.